If you’re new to the concept of SEO (search engine optimization) or you’re someone who is working on building or improving the ranking of a website, blog, or even a single webpage, it can be unclear where to even start. There are many SEO concepts all with varying and ever-changing degrees of importance. Thorough keyword research is the starting point for any webpage or blog post that has the goal of ranking in search results and attracting prospects or customers at any given stage of the sales funnel. The goal of keyword research is to understand user intent by uncovering or confirming the specific keywords and search phrases people are using to find your product, service, or information. To maximize the effectiveness of your page, it should have a single main targeted term that is prominent in all elements of your page, from page title and supporting copy to alt text and meta description. In-depth keyword research will also uncover supporting keyword variations that provide further valuable context to search engine crawlers. SEMRush is one keyword research tool we use to gain insight into current search engine marketing trends. On-page content includes copy, images, and video, all of which are important to optimize for your targeted keyword. However, the copy is typically the element that holds the most weight and potential when it comes to ranking in search engines. There are many important factors to consider when writing copy for SEO but the most important is always the end user. Don’t make the mistake of getting so wrapped up in using your keywords and meeting optimal copy length that your readability and usefulness to the user suffers. Focus on crafting clear, natural, and original copy that sounds similar to if you were speaking out loud to a friend. RankBrain is a key part of Google’s Search Algorithm that uses artificial intelligence to read and understand the content. It sounds robotic, but Google’s Gary Illyes shares how it’s actually quite the opposite. To optimize for RankBrain, Illyes advises that you “Try to write content that sounds human. If you try to write like a machine then RankBrain will just get confused and probably just pushes you back.” Writing with natural language also has a positive impact on voice search results, something that is becoming increasingly popular and impossible for search engine marketers to ignore. SERP (search engine result page) optimization refers to the crafting of how your webpage appears in search results. Not only is it the first impression a new user has on your page (and possibly your brand), it’s also of vital importance to the Google Algorithm when it determines relativity to key phrases and ultimately rankings. This SERP snippet for our website’s services page contains a clickable title tag, URL, and meta description. Elements of a SERP commonly include a title tag, URL, and meta description. The title tag is arguably the most important as it is contained in the source code of the page and it is also the prominent blue phrase that appears at the top of a SERP and entices or deters users to click (once clicked on, it also appears in the tab of the user’s browser page). There are important best practices for crafting title tags including length and format but, like on-page content, a clear and direct title tag is vital. If a user isn’t clear on what they will get from clicking on your title tag, they will likely move on to the next SERP option. 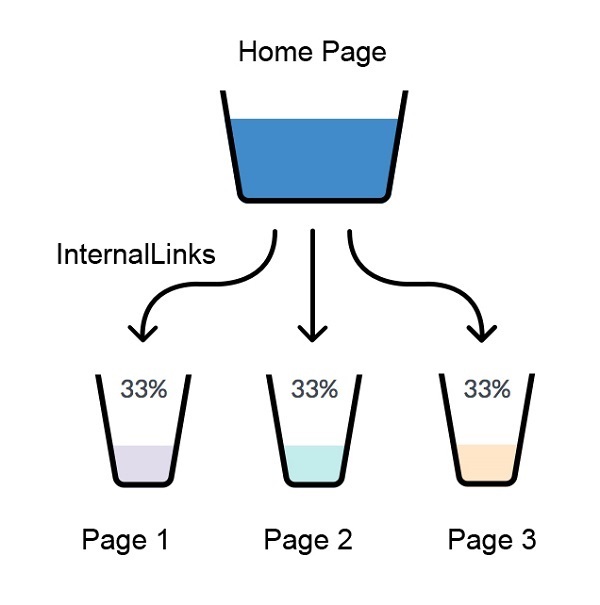 Another important SEO concept (which our team at Leverage Marketing often sees done incorrectly or completely ignored) is page structure. This includes the designation and placement of H tags (header tags) as well as URL structures redirects, schema markups, alt text, and key user experience considerations. Obviously, there’s a lot that goes into optimizing page structure but it’s something that can’t be overlooked if you really want to move the needle on your page’s ranking. For this post, we’ll touch only on H tags but comment below if you’d like to learn more about any other element of page structure. H tags range from an H1–H6 and are used to denote on-page section headings and provide critical content context (say that five times fast) to search algorithms. Essentially H tags are tools to further organize on-page content and provide clarity to both users and search bots. Key H tag rules to follow include only using a single H1 tag per page and never skipping H tag levels (meaning if your page has an H4, it must also have an H3, H2, H1). For example, the title at the top of this post serves as the H1, while each numbered header has been designated as H2s and the header of the paragraph above (H Tags) is an H3. An internal link is a hyperlink that points to another page within the same website domain. They are most prominent (hopefully) in a website’s main navigation menu that statically sits at the top of every webpage. However, internal links can also appear within a given page’s content in the form of anchor text (picture those blue hyperlinks you often see scattered throughout page copy or even in this blog post.). Not only do internal links improve user experience by serving as a clear and accessible bridge to cross from one page to another (hopefully increasing engagement time and conversions while decreasing exit rates), but they can also improve keyword targeting efforts and provide clear context for the page they appear on, while also helping boost the relevancy of lesser ranking pages by directing an internal link to them (what we SEO experts like to call “link juice”). Want to know how your existing website performs in regard to these vital SEO concepts? Leverage our team of SEO experts today for a comprehensive SEO audit and action plan focused on improving search result rankings for the most critical pages of your website.